Are you woo-woo? 5 Great Business Reasons to Let Your Woo Light shine! If you’re like me, you’ve been interested in woo-woo things for a while. You get excited when you see repeating numbers or have serendipitous encounters with strangers. You’ve had a few dreams or meditations that manifested and you’re keen on the law of attraction. Maybe you even have a secret stash of quartz crystals or tarot cards. However, you may be hesitant to show too much woo in your work for fear that you may be seen as flakey or unprofessional. You may cover up your mystical side with a business suit or corporate language. 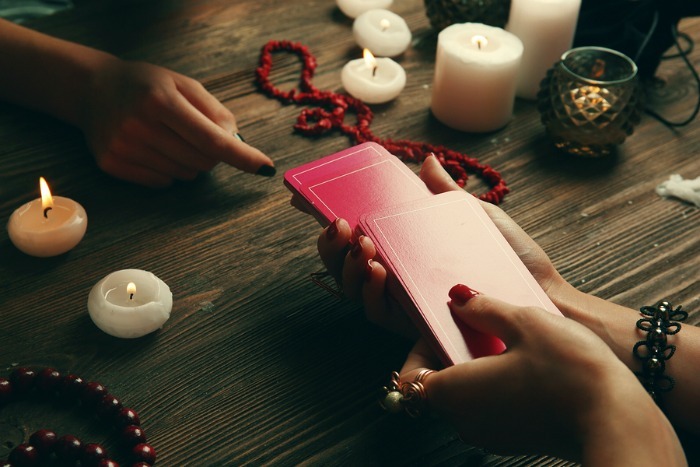 You may hide your crystals and tarot cards when clients come to your office. Come out of the woo-woo closet! The mystical side of life is nothing to ashamed of. Synchronicities, coincidences, and spiritual tools are totally natural and the more that you embrace them, the more they will enhance your work. 1) Woo-woo people make a lot of money! We tend to think of woo-woo people as starving artists – and some of them definitely are. But spirituality is also big business. Just look at the Hay House company (Louise Hay, Doreen Virtue, Wayne Dyer, etc. ), or the Oprah empire (Super Soul Sunday) or even the Christian TV evangelists. People are hungry for spiritual meaning and purpose – and they will pay for leaders and teachers who can guide them on the journey. If you have mystical wisdom or insight to share, don’t hold back. You may be surprised at how receptive your audience will be – and how prosperous you can be as a result. 2) Woo-woo books sell millions of copies! Many of the best-selling books in the world are woo-woo books. The No. 1 book is The Bible with 5 billion copies. Harry Potter, The Hobbit, and The Alchemist have sold more than 100 million copies. Books about positive energy like Think and Grow Rich (70 million) and You Can Heal Your Life (35 million) have been selling for decades. So what are you waiting for? Let your woo ideas flow into your writing and watch the books fly off the shelf. Even if you don’t want to write the next Bible, inspiring writing is a great way to grow your business. 3) There are more woo-woo people than you think there are! I talk to entrepreneurs and professionals all day long and I’m frequently surprised to learn about their hidden habits and beliefs. During a recent chat with a real estate agent, I found out that she was dreaming of one day creating consciousness conferences and events. How exciting! If I had dismissed her at first impression, I would have missed a potential client. Behind the professional attire, there is often a woo-woo person in disguise. Show a little bit of your woo to them, and they just might reveal their secret identity to you! 4) Woo-woo tools really work! Come on now! Do I really have to say it? This s*it works. I don’t care if it’s acupuncture or astrology, unconventional tools have frequently helped me to overcome challenges and breakthrough blocks in my business and life. When I can’t figure something out with my logical mind, I turned to my intuition for advice. If I fall down or fall apart, it’s often the holistic healers who put me back together. The more I resist the natural flow and insist on doing things my way, the worse it turns out. When I trust in the Universe to take over, everything has a way of working out. 5) There is more than one way to be a woo! I’m not suggesting that you die your hair blue or move into an ashram to embrace your woo-woo side – although, if that’s your dream, you’re a badass and you should totally do it. I think you can still wear your high heels, drive your minivan and drink your latte without sacrificing your spiritual beliefs. Embracing your woo-side is more about living authentically, being open to magic and sharing your divine gifts with your clients so they can benefit from the true you! You have so much to offer and it’s a waste to hide it in the drawer with your crystals and tarot cards. So, are you convinced to shine your woo-woo light on the world? I hope so! I’d love to hear how you are bringing woo into your business and life. Shoot me an email or set up a chat with me today.